The collection mentality is a dangerous thing, especially amongst the geek world. Nowhere else do you see the level of completionist mentality as you do amongst gamers. Trophy Whores and Achievement Hunters are both signs of this obsession to get them all. On Saturday the 12th and Sunday the 13th, both the Pokemon and Skylanders franchises intend to bankrupt me in both time and financially. I bought my first copy of Pokemon Blue back when it first released fifteen years ago in 1998. With that, I set out on my mission to get all 151 of the original Pokemon. Though I never finished the list, I still spent way more time than I should have on that mission. Two years ago, I got my hands on Skylanders: Spyro’s Adventure and a few hundred dollars later, an entire shelf in my room is filled with the damn things. 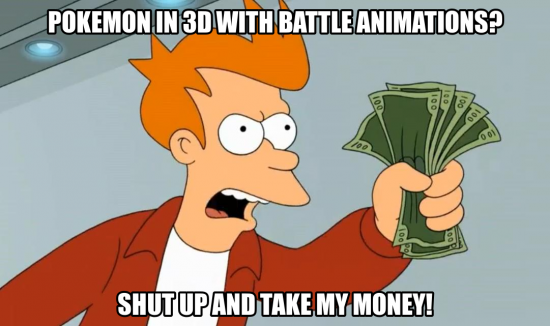 Next weekend, I get to deal with a double whammy as both Pokemon X/Y and Skylanders SWAP Force are released.